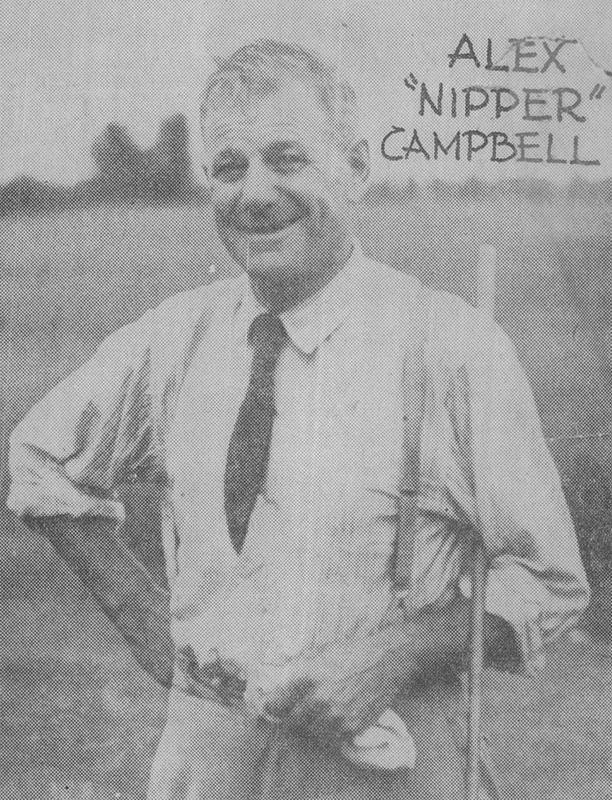 "A bit of Scotland transplanted to the Miami Valley"
On the coast of Scotland in the late 1800s, a young Alec "Nipper" Campbell worked relentlessly on his game with golf balls he fished from the sea. By age 17, he won the Scottish Open and by age 19, he became the head golf pro at The Country Club at Brookline. With a professional career spanning more than 30 years, Campbell was an extraordinarily talented golfer in his own right. However, one of most his notable accomplishments came during his time teaching others how to play the game, and play it very well. While at Brookline, he established his reputation as a masterful mentor of the sport when he guided 20-year-old Francis Ouimet to a historic playoff victory in the 1913 Open, upsetting the great British champions Harry Vardon and Ted Ray in the process. Known to many as the "father of amateur golf," Ouimet, a former caddie, became one of the most beloved players in the sport and changed the face of the game. It was also at Brookline where Campbell cut his golf course design chops, imparting his knowledge of the game into the greens at this historic club, reworking the course to better suit the longer playing Haskell ball. Eventually his golf course design talents made their way to Moraine, where Campbell instantly visualized what a great golf course awaited the 170 wooded acres. He also recognized some very familiar terrain. It was reminiscent of the courses in his home country of Scotland; natural topography formed of the rolling, glacier-carved hills of the land. Guided by his philosophy that the best golf course is built into the land you've got, Campbell masterfully incorporated the plains, drumlins and erratics of the land into a course designed to be a formidable challenge to both seasoned pros and novice players alike. He loved that the golf course at Moraine was never boring, and editors at Golf Digest agreed with his sentiment; ranking it amongst the toughest courses in the country. A perennial member of Golfweek's prestigious list of Top 100 Classic Courses, Moraine is a showcase for Campbell's innate ability to join the game to the land, rather than force it upon it. The natural terrain provided a perfect opportunity for him to integrate design features from some of the great courses in Scotland, such as the Old Course at St. Andrews, Troon, Prestwick and North Berwick. But Campbell did more than merely mimic great holes. He understood what made them great. This is just one of the many reasons generations of golfers have enjoyed his masterpiece since its completion in 1930, at which time he declared the course to be "a bit of Scotland transplanted to the Miami Valley." "He stood on my grandfather's shoulders to see what he could see"
A true testament to the timeless qualities of Campbell's initial vision for the course, Moraine enlisted the expertise of renowned golf course architect Keith Foster to restore it back to its original design. Over time, thousands of trees had been planted on the course, bunkers had been changed and other alterations were made that diverted it from its Scottish links style roots. Selected for his extensive experience restoring classic courses while staying true to their history and traditions, Foster only accepts two projects per year. Moraine is the only course in Ohio to which he has lent his remarkable talents. No detail was too small for Foster to consider during this renovation process. He painstakingly poured over old photographs and drawings of the 1930 design, using those resources as reference points throughout the journey. Nipper Campbell's grandson Colin Campbell marveled at the way Foster approached the restoration process, remarking it was like "he stood on my grandfather's shoulders to see what he could see." Taking great pride in measuring his work by how seamlessly the land and course coexist, Foster is a purist at heart just like Campbell, who also loved to accept design jobs that would allow him to organically merge the game with the existing landscape. Greens superintendent Jason Mahl noted that Foster "sees things no one sees," and the result is nothing short of a magnificent return of a great course to back its original vision. The old photographs and drawings of the course revealed some long-forgotten bunkers, several of which Foster reintroduced in the restoration. Noticing that a few of the slopes were too fast, he modified those slightly to reduce their severity. He identified a few holes that needed additional bunkering, and those updates were made as well. As part of the renovation process, nearly 2,000 trees were removed from the course. Not only was this a crucial step to bringing the course back to its original Scottish links design, but removing obstructions such as trees and roots helps restore original hole routings. Fewer trees also means less watering, fertilization and mowing, which helps the environment. To enable to course to play faster and firmer, eight miles of drainage were added to tees, greens and wet areas of the fairways. The fairways were also widened to match the original 1930s measurements. After observing that the course's 16th and 17th greens are tied into the adjoining tees, a concept that is used in many Scottish golf courses, Foster introduced that design element to four other holes in the course. He also made adjustments to the 15th green, which was rebuilt in the 1950s, to help the hole better fit the rest of the restored course. Moraine's rolling fairways, breathtaking sightlines and challenging greens have beckoned golfers for more than 80 years, and this expansive renovation accentuates and reinstates these gorgeous features for generations of golfers to come.